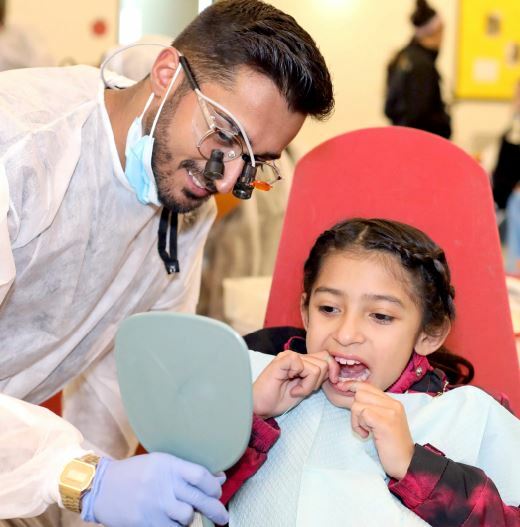 A young patient receives care recently at Young & Healthy’s annual dental clinic, run in partnership with the USC Mobile Dental Clinic. This year, Y&H provided free dental treatment to 113 local school-age children. At Young & Healthy’s recent annual dental clinic for school-age children, Dr. Sunny Fereshteh recognized a poised and confident patient from a few years back. Three years ago, that same little girl had been terrified of the dentist — so much, in fact, that when Fereshteh turned around to take X-rays, she jumped out of the dental chair and took off.